Keratitis: a serious inflammation of the cornea (the transparent layer that covers the pupil) that can lead to the development of an ulcer on the cornea, which can seriously damage eye sight. Long hours spent using a computer or watching TV causes your eyes to dry up due to a lack of blinking involved in that form of concentration. Make sure to take frequent breaks from the TV or smartphone screen. This is especially important if you find yourself working 8-hour days in front of a computer. It is recommended to take a 5 minute break away from your computer for every hour you work. Because dry eyes need moisture from the environment, it is a good idea to keep a humidifier, especially during winter. Humidifiers are a great investment that functions to recover the humidity of the air while ridding the room(s) of any particles that might act as irritants, exacerbating your dry eyes. In order to properly protect your eyes, make sure to wear quality UV protection sunglasses when outdoors. Also make sure that any prescriptions you have are up-to-date to assure that you aren’t straining and causing any additional irritation to your eyes. 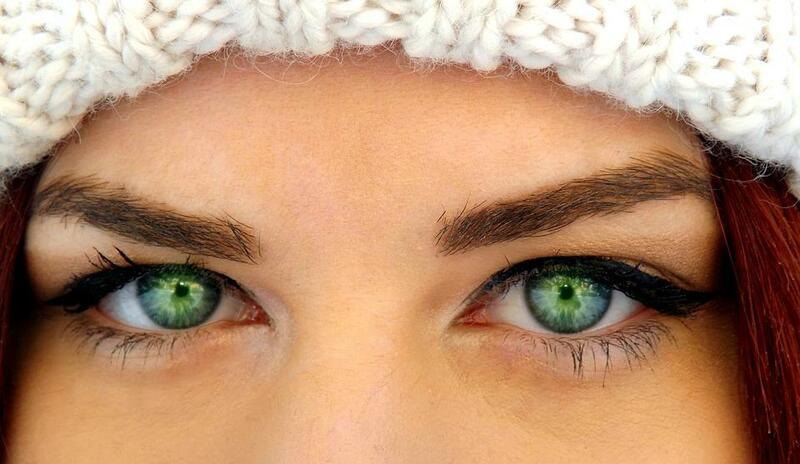 Eye drops can help lubricate the eyes and provide momentary relief by restoring moisture that has left the eyes. There are a variety of different kinds of eye drops available on the market. Find one that is specifically for dry eyes. Wet your eyes throughout the day as needed. The following simple home remedies can help you relieve the discomfort caused by dry eye syndrome. Keep in mind that if the symptoms you’re experiencing continue or worsen, you need to see your doctor. As clogged meibomian glands is often related to dry eye syndrome, applying warm compresses on the eyes can help to soften the hardened glands and maintain the moisture in the eyes. Soak a towel in warm water. Cover the eyes and upper face for 20 minutes. In order to make the remedy efficient, make sure to switch a cooled towel out with a warm one. The process has to be repeated at least twice a day to be effective. How does your daily water intake look? Dehydration can be one of the many causes of dry eye syndrome, therefore it is essential to consume enough water on a daily basis. Keep a hydration reminder or download a water intake app, like Waterlogged, to make certain you drink 6 to 8 glasses of water a day. Doing blinking exercises help to reduce the strain experienced with dry eye because it signals to the body to increase moisture to the eyes. Moreover, blinking helps to spread the tears equally over the surface of the eyes. Take a break from any activity that puts pressure onto your eyes and do the blinking exercise. Blink constantly for a couple of minutes at least three times a day. Applying cold milk to the eyes helps to reduce strain because of the calming, soothing properties it promotes that relaxes the eyes. Dip a cotton pad in cold milk. Place the pads on the eyes. Use this remedy whenever you feel a strain on your eyes. It works wonders.